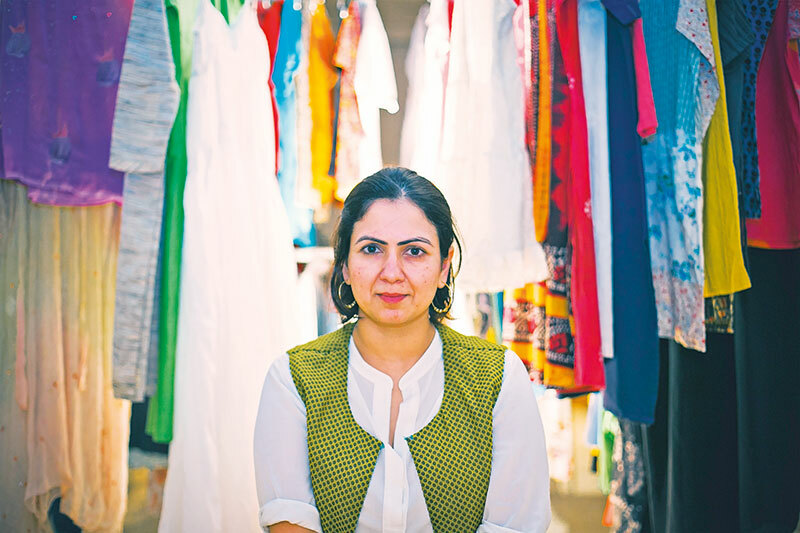 Jasmeen Patheja’s art collective Blank Noise started out as a project while she was studying at Srishti Institute of Art, Design & Technology, Bengaluru in 2004. An Ashoka Fellow, she uses interventions in public spaces, to address sexual harassment on the streets. Blank Noise is comprised of, and is run entirely, by volunteers. 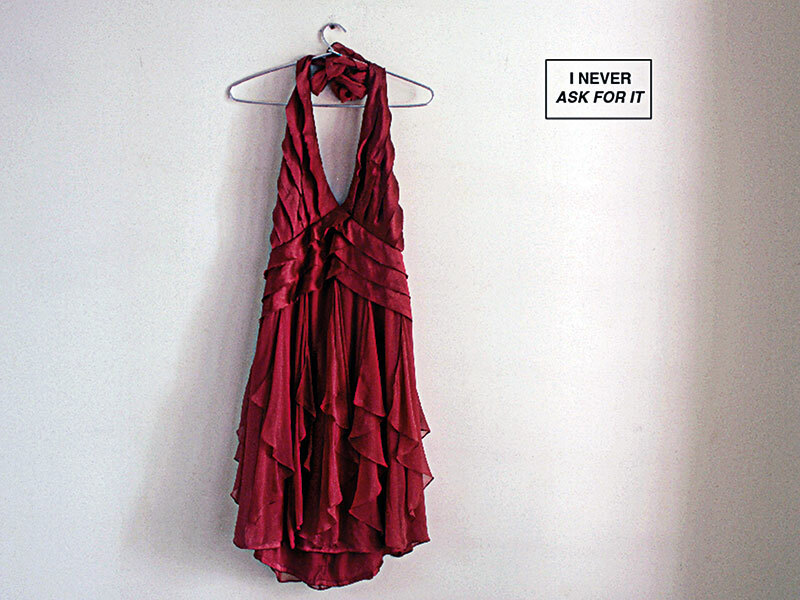 One of the most significant initiatives that has come out of the collective is called I Never Ask For It, which has brought attention to the fact that women don’t ask to be touched, flirted with or approached in inappropriate ways just because of what they choose to wear. Blank Noise has also started Action Heroes, which uses social media stories to change the public perception of ‘victimhood’ to ‘empowerment’. People pledge to make cities safer to reclaim public spaces by delegitimising patriarchy and normative ideas around gender. Can you tell us how Blank Noise came to be? When I was a student in Bengaluru, I began to notice that most women I knew made choices that were invisible to them; they walked only in groups, or in twos, and alone only if they had to. Blank Noise is a response to this environment. It has designed a range of participatory exercises, via which persons become Action Heroes. A group of nine women between 18 and 22 were the first Action Heroes. I facilitated workshops with them over three months, during which we created a safe space where we could recall incidents that we had taught ourselves to forget. We discussed experiences rooted in misogyny and patriarchy, which had left a ‘sick’, unforgotten feeling. We learnt to recognise, identify and articulate personal injustices each of us had experienced. This led to I Never Ask For It (INAFI). The projects have led women to recognise our power as women, confront fear, question the environment of warnings and blame, heal and build empathy. What are your thoughts on the ideas of ‘power’ and ‘empowerment’? Power is something each person carries. Being restless enough to ask questions is a way to ignite dormant power. To ignite that potential through information, realisations, or posing a new question is to move towards being empowered. To realise that being told you ‘asked for it’, is the only act that has justified violence across the world, is a step in the direction of empowerment. To know that you are not alone, and that there is something systemic in the injustice, is the first step towards stepping into your power and being empowered. How is your work positioned to tackle the political urgencies we are faced with today? We are living in a time of divisiveness that is fuelling suspicion, and we respond to it through actions such as Meet To Sleep and Talk To Me. Meet To Sleep asserts the right to trust, where Action Heroes gather together to sleep in a public place and face their fears. Talk To Me brings strangers to an hour-long conversation in sites of conflict, over tea and samosas. It confronts Action Heroes with how fear is rooted in the division of class, caste, religion, and gender. The INAFI mission brings together clothes that women wore when they experienced violence. The mission of 10,000 garments as witness, memory and voice is a work in progress. I am motivated by what it would take for the garments to be 10,000 testimonials and am committed to building long-term approaches towards this. Our practice is continuously responding to the current climate by creating vibrant spaces for people to question, express and articulate what they feel.